Warren, RI; 2nd Story Theater of 48 Market St, Warren hosts a special dress rehearsal fundraising performance of “A Bright New Boise” with 100% of the proceeds going to the 2014 Season of Art Night- Gallery & Studio Tour of Bristol and Warren, RI. This “Art Night” Fundraising Performance, on February 27, 2014, started with a reception where local supporters of both Art Night and 2nd Story Theater came together to celebrate the local production and enjoy each other’s company. This event is just the beginning of Art Night’s continued support of the arts in 2014. With a newly revised mission to be the go-to source of arts related activities for local arts and artisans in the East Bay, Art Night will now offer membership with services like a calendar of art events and an artist and art-friendly business directory on their new website that will debut on March 1st. “A Bright New Boise” by Samuel D. Hunter is the winner of the 2011 Obie Award for Playwriting, and is the kind of production that makes you think about your choices, faith and family. With humor and tragedy, “A Bright New Boise” keeps the audience engaged until the very end, which leaves unanswered questions lingering. The play is scheduled to run February 28 thru March 30 at 2nd Story. Photo caption: Art Night Board Members Tom McAleek, Davidson Bolster, Tamara Kaplan, Susan Rotblat-Walker and Peggy Hicks relax at 2nd Story Theater before “A Bright New Boise” begins. ART Night is a non-profit organization that celebrates art-makers, advocates and business collaborators in an effort to support the creative community, as well as empower the cultural and economic vitality of Bristol and Warren, Rhode Island. New this year, Art Night will offer annual membership as well as the 2014 ART Night schedule housing five events from May to September. These events will fall on the last Thursday of each month from 5:30-8:30 pm in both towns. To start off the year, there will be a Kick Off Party on May 1st. The 2014 events will feature not only galleries, local shops and restaurants, but local artisans who are willing to provide live performances, or open their studios for the night to curious strangers. Each event showcases the talents of artists from various artistic fields of music, dance, storytelling, fine art, and craftsman as well as artists who will show visitors the inner workings of their studio and creative process. 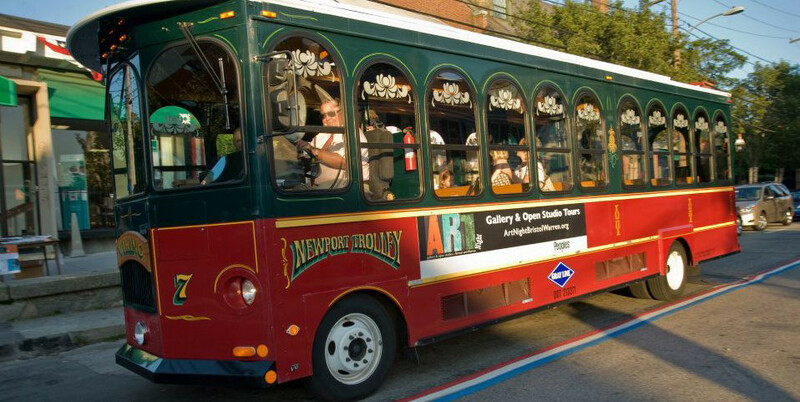 A trolley is also available in each location as a free form of transportation. As this is a collaboration between two towns, ART Night strives to support both location’s unique qualities and citizens.